Robert "Stormy" Byrd Gord bought the car in the Spring of 2010 and with a 296 cubic inch Flat Head engine running in the XF/GCC ( Flat Head powered Gas Competion Coupe ) class against a 156.701 mph record took the car to Bonneville in August of that year and ran a best speed 149.864 mph. 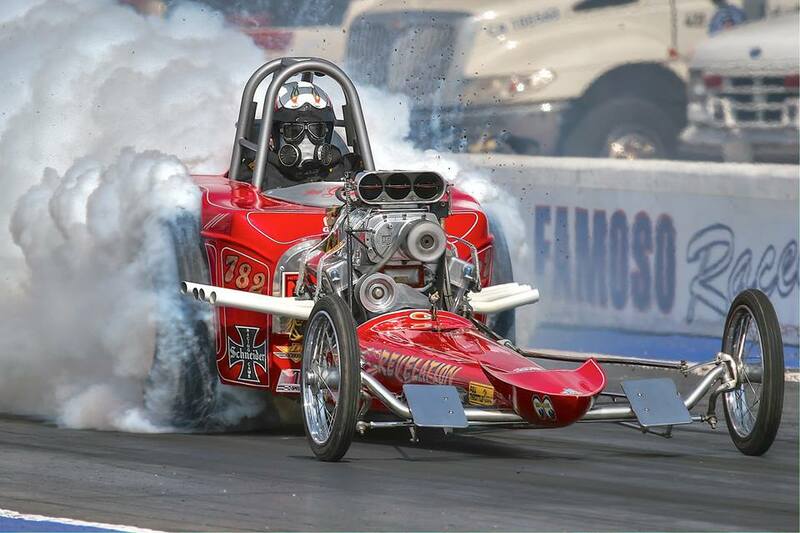 Originally running a carburator, Gord decided to switch to Hilborn Fuel Injection for the 2011 season and at Bonneville Speed Week mustering a top spreed of 156.066 just shy of a qualifing run by less than 6 tenths of a mph. For 2012 Gord found the high temperatures and humidity were keeping his speeds down but still managed a top speed of 153.263 mph. He is making changes for the 2013 season and expects to set a record next year. The Flat Head engine was built by Rod Derry out of Calgary, Canada, Rod's company is D & W Custom Engines. The cam and cylinder heads for this engine were designed and built by Dave Tatom owner of Tatom's Custom Engines out of Mount Vernon, Washington, Dave Tatom specializes in Ford flat head engines. 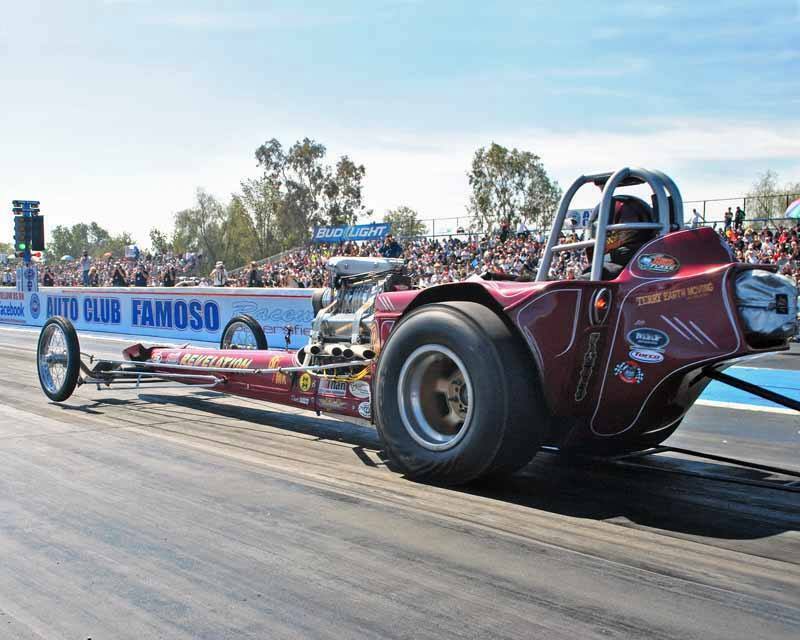 Gord runs TORCO SR-5 20W-50 racing oil in his Studebaker, both he and his engine builder like it and recommend it. Stormy with his Revelation at the 2012 March Meet at the FAMOSO drag strip in Bakersfield, Ca. Video of Stormy in car during run at the November 2013 Eale Field meet.